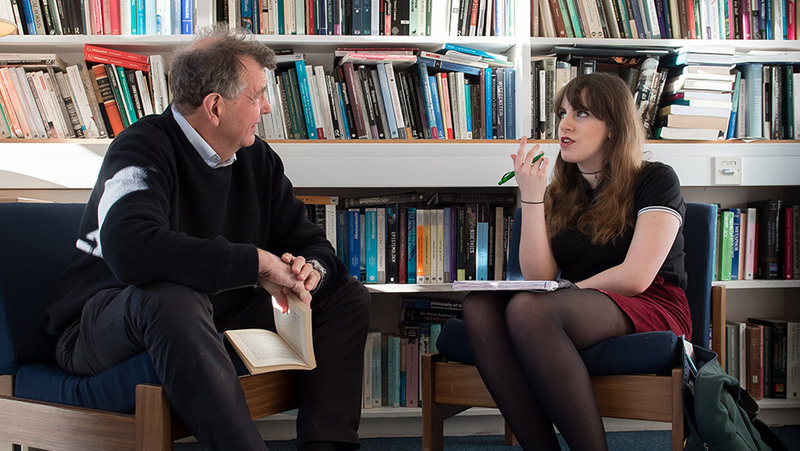 With our Philosophy and English BA, you combine the interrogation of thought and text. You investigate how thought and literature are shaped by culture in a wide variety of historical and political contexts. At Sussex, you follow your own interests, choosing from a broad range of topics. With this course, you develop your ability to critically analyse, challenge and communicate – essential skills for a wide range of careers. Access to HE Diploma must contain substantial Level 3 credits in Literature. Alternatively, applicants will need A-levels in English Literature or the combined A-level in English Language and Literature, normally at grade A in addition to the Access Diploma. Highers must include English at grade A. You would also normally be expected to have an Advanced Higher in English (also at grade A). You will need to achieve a final mark of at least 8/10 in English. commercial graduate scheme trainee, Firmstep. By taking a Philosophy and English degree at Sussex, you develop key skills in communication, research and critical thinking. You are prepared for a range of jobs including careers in the Civil Service, government, the media or the arts. network with other philosophy students.